Filip is leading strategic partnerships at Dronamics and helping build its next-gen logistics networks across Asia, Africa and Europe. Dronamics fuel-efficient autonomous airplane for same-day long-haul delivery aims to reduce the cost of air cargo by more than 50%. 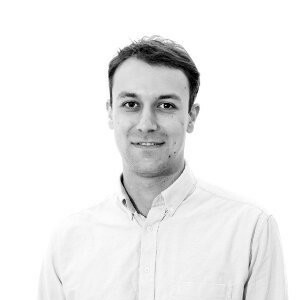 Before joining Dronamics, Filip was Head of Product at Pioneers - a Vienna based ecosystem for entrepreneurship, where he built software platforms and products connecting founders, corporate innovation teams and investors. Prior to that, he spent time in management consulting dealing with emerging mobility and manufacturing tech and at Eleven.vc - one of the first early-stage VCs in his home country Bulgaria. Filip studied computer science and economics in Vienna and Hong Kong.